In the world of salt lamps, real Himalayan salt lamps are the undisputed kings. The salt is actually a rock that is prevalent in the Pakistan area of Punjab. It is popular for the amazing properties it possesses that including air purification through generating negative ions. They also have numerous health benefits which explains why they have steadily grown in popularity. There might not be much scientific evidence to support this, but the enormous body of user reviews has been sufficient testament to how these lamps are effective in purifying air indoors. Of course with the Himalayan salt comes the salt metal baskets or metal basket salt lamps. 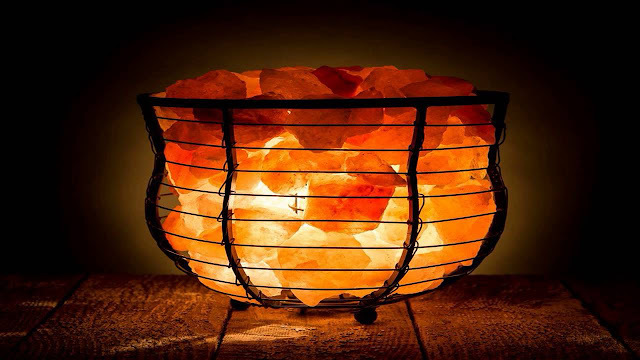 These are a kind of salt lamp that has salt rock pieces placed in a form of metal basket which then is fitted with a bulb in the middle of the chunks. The purpose of the metal baskets is to maximize on surface area and therefore increase the production of the negative ions. When looking for a good salt lamp, there are a number of things that you have to be aware of. One, it should provide a large surface area so that a high number of negative ions are produced in the space. Two, the fitted bulb should be of moderate wattage to prevent a lot of electricity getting consumed. Three, the chunks of rock salt should be able to heat up fast and get moisturized and in turn capture more air pollutants. Four, a real Himalayan salt lamp should be able to ensure that the surrounding air is fresh and clean and thus ensure the people around have an ambient and soothing experience. Finally, they should have long lasting features and also easy to maintain. In this Himalayan salt lamp, it comprises of a square metallic basket. It is in the 5”x5”x5” dimensions. The rock salt chunks are perfectly arranged in the basket. Additionally, the metal basket’s exterior comes in various designs. These include Snowflake, Angel, Buddha, Star, Bagua, Jesus, Sun, Leaf and Cross. The design is not only perfect, but the shape also means it is easy to place anywhere, be it, the kitchen, bedroom or the bathroom. The dimensions to this salt lamp are 7” x 6” x 6”. The mesh to the lamp is made of 1 wire. The basket is shaped in the form of a rose flower which is a nice and unique design. The fact that there is not much to the basket exterior means that the crystal salt chunks have a huge surface area too produce negative ions and that the rocks are evenly distributed in the basket. This ensures that the air is purified and cleaned completely plus it boosts energy wherever it is placed. This metal basket is cylindrical and quite tall in structure. The dimensions are 8.1” x 5.7” x 5.3”. The basket also comes in different designs such as flame, fan, circle plus more designs. Since it is tall, there is the likelihood of the lamp toppling over. This is why it has a wooden base. You can place it in any place in your home and it will look great. This salt metal basket is handcrafted in a nice yet unique design. It is 8 inches high and 6.5 inches wide. It is shaped into a bowl which increases the volume that can hold the Himalayan salt rocks. Additionally, it means that there is more surface area for the production of negative ions. Since the lamp is tall, it has a circular base to ensure that it is stable. This is another towering metal lamp which stands at 8” x 6.9” x 6.8”. This is why the designers opt to have a wooden base to ensure that it is stable. The fact that it is made up of mesh means that the salt can fill the basket and thus carry out the function of air purification. Additionally, as a result of its shape, the bulb inside tends to have a soothing glow. This lamp is for everyone who wants a beautiful piece of art in their living room- or wherever they place the real Himalayan salt lamps. The lamp gives the impression of a spheroid Rubik’s cube. This is because it is made up of colored glass plus the glowing of the salt adds to its beauty. In addition to being glass-made, it also has a wooden base. Furthermore, it is not heavy, much to the surprise of many plus it can be placed all over one’s home. It is a darling to many of its users. This one definitely stands out from the rest in that, one, it is not made of metal. Instead, it is handcrafted from a Neem wood base. Additionally, it is not a very tall structure. All the same, its design is unique as it has a polished exterior. All in all, it still serves the purpose of ionizing air in the area where it has been placed. 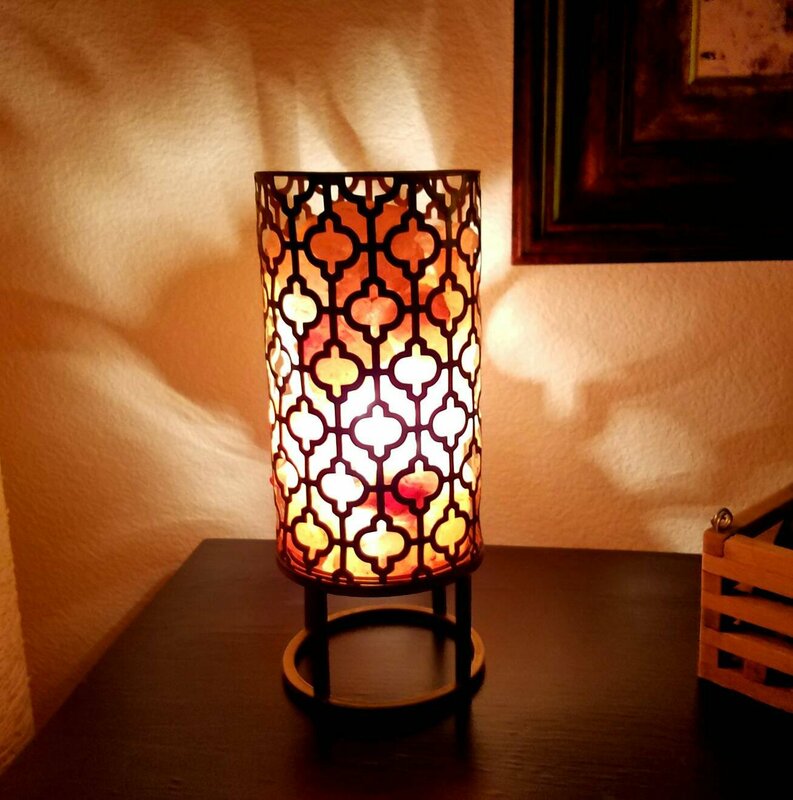 There are numerous metal salt lamps out there with unique designs that will serve your needs as well as taste. Additionally, you will benefit from having the air in your living space purified. Additionally, the salt lamps reduce the effect of bacteria, dust, colds, allergies, sinus, pet dander, fatigue, odor and even asthma. 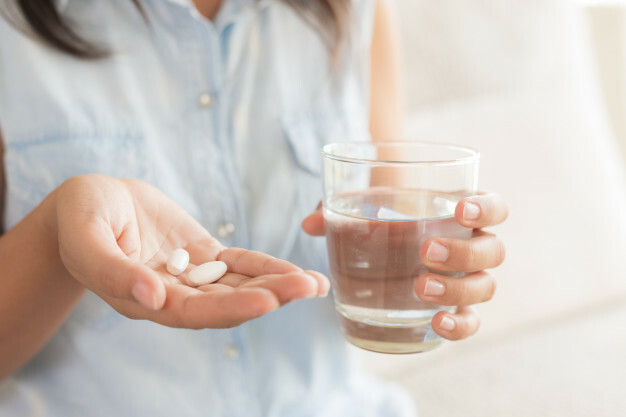 Other people have reported that they are relieved from symptoms of insomnia and anxiety. You can also use the lamps to create an ambient and soothing mood at your place. However, ensure that the bulb does not consume a lot of power just to be environmentally conscious.